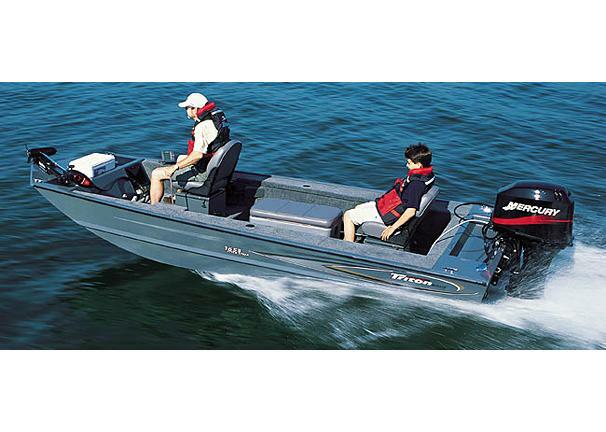 Boat Description SS stands for `Stick Steering,` an innovation that puts you up front both when fishing and when under power! This unique configuration lets you steer clear of underwater obstructions, and is especially well-suited to shallow rivers and tailraces. Once you`ve reached your fishing hole, simply lower the trolling motor and start fishing! The Triton 1653 SS interior features include a huge center aerated livewell with padded top, raised casting deck and built-in tackle tray system.